The fear of another scam pushed the government into a rather long period of so-called ‘policy paralysis’. To play it safe, the price of spectrum in all subsequent auctions was benchmarked to the high 3G rates, says Surajeet Das Gupta. The acquittal on Thursday of key players in the alleged 2G scam after seven years might have come too late to change the fortunes of telecom companies which lost money and reputation, while forcing foreign telcos like Telenor and Sistema out of the country. The key buzzwords facing the industry today -- burgeoning debt burden and consolidation -- trace their roots back to the 2G spectrum scam of 2008 and the action taken subsequently by the Comptroller and Auditor General and Supreme Court. These fundamentally changed the country’s telecom landscape. The advent of Reliance Jio with its aggression accentuated the problem. The CAG report in 2010 benchmarked the artificially high 3G spectrum price to conclude that A Raja’s decision to offer 2G spectrum at an administered price caused the government a loss of Rs 1.76 lakh crore. That conclusion had far-reaching consequences. The fear of another scam pushed the government into a rather long period of so-called ‘policy paralysis’. To play it safe, the price of spectrum in all subsequent auctions was benchmarked to 3G rates. The high price forced telecom operators to borrow money, something that would later lead to a burgeoning debt burden for many. He points out that many decisions like spectrum sharing were shelved for a long time. The overall debt of the telecom industry, around Rs 2,41,000 crore in 2012-13, more than doubled to Rs 4,60,000 crore in 2016-17. Some analysts and every telco agrees that CAG had made a flawed calculation. The 3G auction saw nine players slugging for survival as they fought for three-four pan-Indian spectrum slots. That was because many newer players had joined the party. With limited supply, the price of spectrum zoomed, regardless of the business potential of circles on the block. No serious operator could have ignored buying 3G spectrum and get into a major business disadvantage vis-à-vis rivals. For instance, the auction price for Delhi and Mumbai was 10 times the reserve price. As much as 40 per cent of the total value the government received from the auction was for these two cities. Notwithstanding the fact that these two circles’ share of total telecom revenue was only 14 per cent. The government or regulators made very little attempt to change this equation and anomaly in subsequent rounds of spectrum auction by reducing the reserve price substantially and not benchmarking it with 3G, simultaneously with putting enough spectrum on the table. In fact, the fear of taking any decision that might lead to another controversy was palpable. The central government of the day, for instance, decided not to extend the licence of incumbent telecom operators by another 10 years (after their 20-year licences ended), despite this being part of the notice inviting application. The government said it would auction liberalised spectrum (which meant any spectrum could be used for any service, for the first time). This led to bloodshed in many of the auctions held in 2015, with incumbents fighting no end to retain their spectrum in the 900 MHz and 1,800 MHz bands. This was necessary for their business continuity but meant prices going through the roof. In 2012, when the Supreme Court (SC) ordered the scrapping of 122 telecom licences granted by tainted minister A Raja four years earlier, the intention might have been different. But, the action forced the first round of consolidation in the sector. By giving spectrum on a ‘first come, first served’ basis, Raja doubled the number of players from seven to 14, and ensured a cut-throat price war. 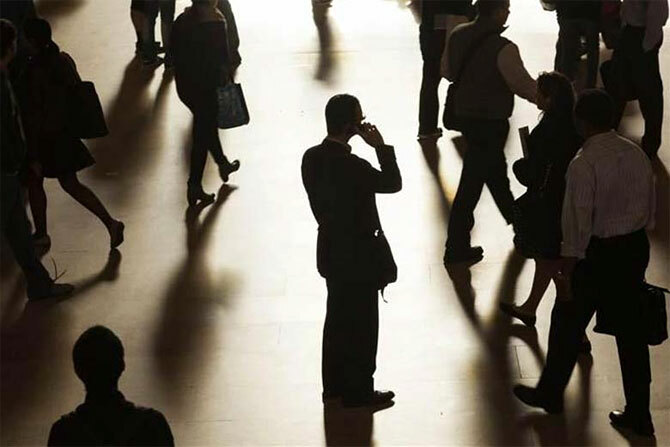 Telecom rates, as a result, fell over 50 per cent. The eight new players invested as much as Rs 40,000 crore in a couple of years and acquired about 70 million subscribers or eight per cent of market share in terms of subscriber base. But, the SC’s decision forced operators like Etisalat, which owned a 45 per cent stake in Swan Telecom, C Sivasankaran-promoted S-Tel, and Loop Telecom, to shut shop. Others like Videocon, Telenor and Sistema (21 licences), having lost their licences after the court order, returned to participate in future auctions but only as niche players, not as the strong pan-Indian operators that they earlier hoped to become. The writing for them was on the wall. Videocon Telecom, for instance, had in 2008 won licences for 17 circles, which it lost after the SC judgment. Later, even as it participated in auctions and won spectrum for six circles, it hardly made any mark in the telecom market. Over the years, it sold its spectrum in some circles, closed operations in some others, and eventually shut shop earlier this year. Sistema, which had invested over $4 billion, lost most of its money and merged with Reliance Communications this year. Telenor, which had won 22 licences in 2012, and those for six circles later, wrote off more than Rs 10,000 crore on its books while selling off its mobile business to Bharti Airtel. According to analysts, the SC order took the number of operators in the market back to the level before Raja gave away licences, though the number of subscribers after the decision to double the players helped in seeing the subscriber base in the country more than triple from 300 million in 2008 when the new licences were given to 951 million in 2012 when the cancellations happened.